Buying a home isn’t a solo endeavor. As much help is necessary at every step of the way, closing the deal on your dream house requires someone with a special skill set: a broker. Aside from the fact that it’s their job to help you get the best deal, brokers can offer much much more. They’re paid to help you. Brokers don’t get paid until you close the deal on a house, so they’re just as incentivized to sign on the dotted line as much as you are. 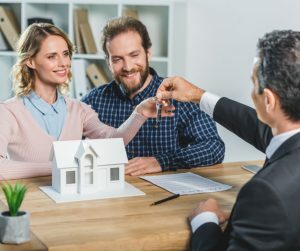 If they don’t make sure your closing process goes as smoothly as possible, they won’t make enough to buy a dream home of their own. So no matter what happens, remember they’re focused on making things happen for you. They’ll get to know you, and more importantly, know what you want. Buying a home can be a long process and a broker is there every step of the way. That means they’ll spend a lot of time learning who you are as a person. When you’re making decisions this big, it’s important to work with someone who knows what you like and dislike. They save, save, and save some more. Saving money is helpful, especially on a purchase this big. But brokers can save you a lot more than money. Since they handle every step of the process, they know how to save you time and energy. And those are the last things you want to waste when you’re getting ready to move into a new place. No one expects you to know everything about buying a house. But that’s exactly what a broker gets paid to do. They’re experienced in everything from examining your finances to the details of intricate contracts, so they’ll be a helpful resource throughout the entire process. They’ll work as hard as you have. Brokers know that you’ve put a lot of time and effort into finding where you want to live, so they won’t take it easy, even when you’re close to the finish line. 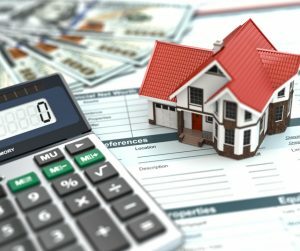 They’re prepared to do all the legwork – negotiating with loan managers, filling out stacks of paperwork, and paying attention to the smallest of details – so you don’t have to. At Liberty Lending Consultants, we’ve got a staff full of brokers who are ready and able to help you achieve both your financial and home-ownership dreams. We’re prepared to work hard to get you the lowest rate possible and earn your trust. If you’re looking for more information, fill out our online form or call (314) 336-9111.